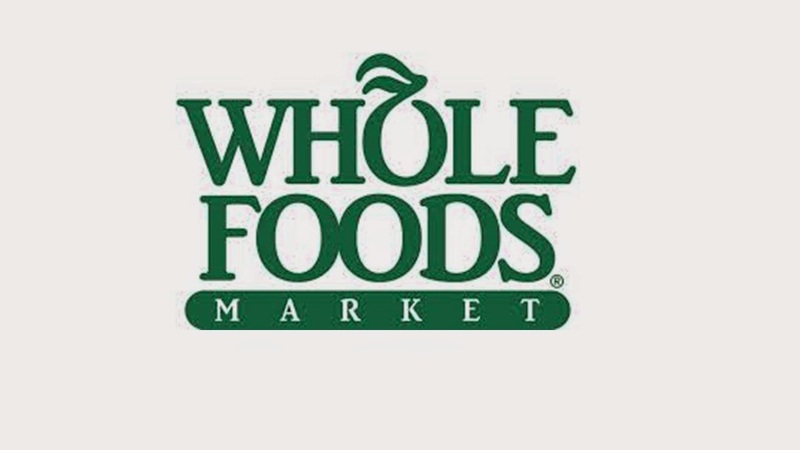 I first discovered Wholefoods (www.wholefoodsmarket.com) in Chicago when I was visiting my lovely sister in law. She had taken us there to buy “some” food for our BBQ that evening. At that time we did not have a Wholefoods in Scotland let alone in the UK and I remember thinking, this is what grocery shopping should be all about! I was fed up of the paltry availability of good Fifi Friendly products at home in the UK and Wholefoods was about to become my mother ship and the place I would spend the next 3 hours. Every time we went back to the USA whether it be to California or Chicago, Wholefoods was paid a visit. Thankfully we now have a Wholefoods closer to home and I love the range of products, fresh foods, meat counters, bakery and the beauty section…. actually like pretty much every aisle. Unlike any other shopping trip, it is actually a joy to shop at for the whole family. My kids in particular like to try the different foods they have on display before always coming home with fresh bread, freshly made smoothie and one of the massive home made meringues!! The ribeye steak I got from the meat counter is one of the best I have tried and the gluten free fish fingers are awesome. I would be here for ages if I was to write down all the products I love. I am a bit of a creature of habit and first make a beeline to try out the vast range of beauty products before heading around the rest of the store. The ladies at our local store if Giffnock are so helpful and have given me so many top tips on products to try. It was here that I first tried Salt of the Earth Deodorant, Zoya Nail Polish and Aloe Dent Toothpaste to name a few. Like most people I prefer to try a product before I buy it and more often than not Wholefoods have testers to try or samples to take home. Coupled with their friendly impartial advise makes this a happy shopping experience. 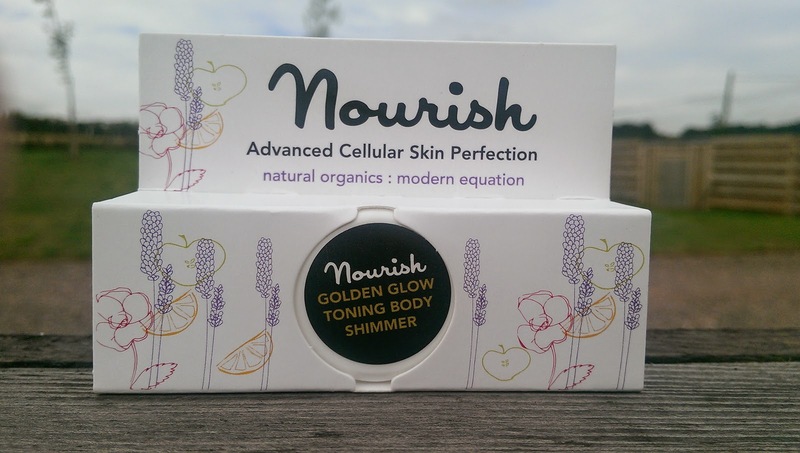 Recently I have been trying out a few beauty and food samples I got from some brands that I have not used before: Suti, Nourish Skincare and John Masters Organics. 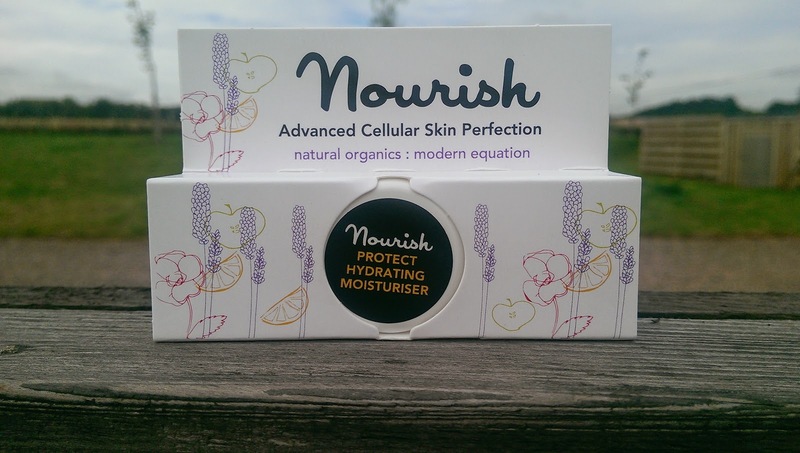 Nourish Skincare was the brainchild of Dr Pauline Hili who created an organic beauty range that combines her knowledge of science and nature. 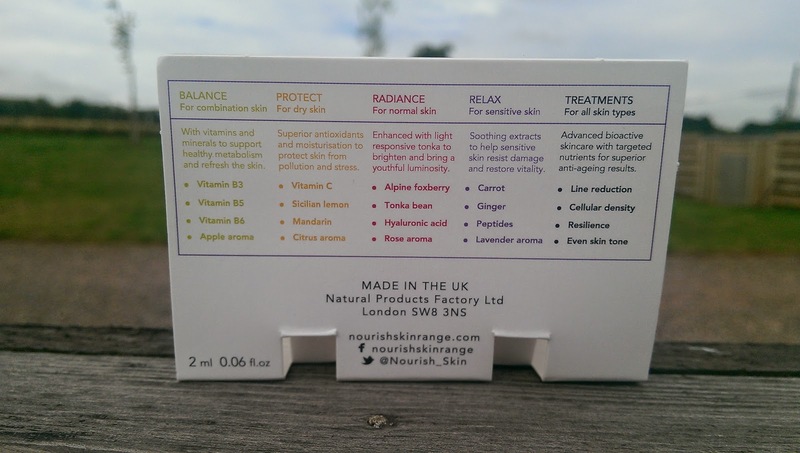 Using the purest ingredients from mood enhancing essential oils to advanced scientific bio-actives, this ethically sourced range helps enhance and nourish the skin whilst promoting its natural processes. There are 4 ranges to choose from depending on your skin type. First I tried the Protect Hydrating Moisturiser which is an antioxidant rich blend with rosehip oil as one of it’s hero ingredients. Rosehip is fantastic for dry and sensitive skin but rather than having an oily texture this cream is almost gel like and is great to apply. It is laced with the beautifully smelling oils of organic orange and mandarin which are really uplifting. This is one of my favourite smelling moisturisers of all time. Is not tacky on the skin. Great product. I will be buying this and I think it is good value at £19. 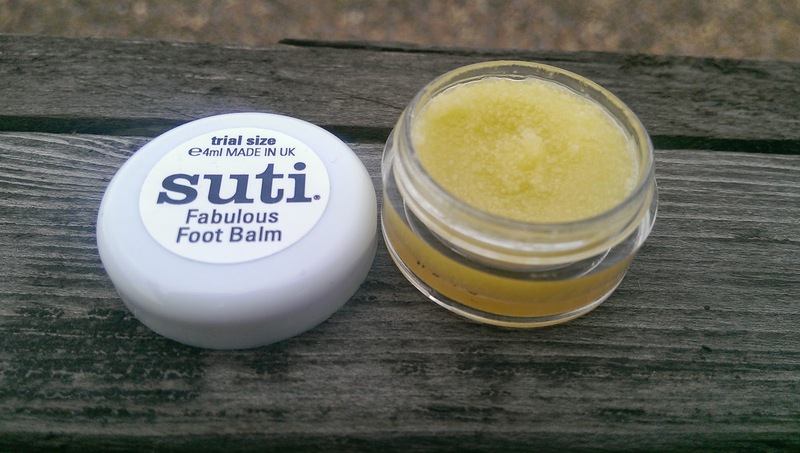 I had not tried Suti before receiving a sample of their Fabulous Foot Balm. 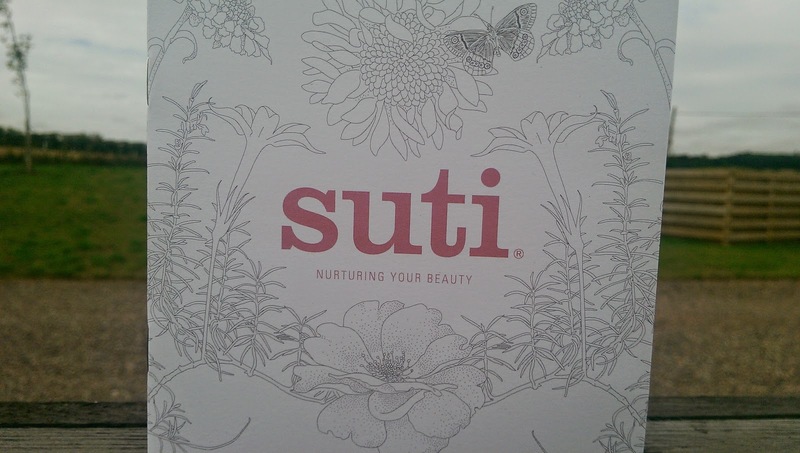 The Suti range is organic, 100% natural and is based on a holistic approach to pampering the body and uses energy healing. Sounds good so far. I have not been as diligent with my feet as I was at the beginning of the summer and this foot balm came at the right time. These troll feet were in need of some nourishment. The smell of peppermint, eucalyptus and lemon was what hit me first. Very energising. I found it worked best on my feet when I applied it before I went to bed and put socks on to keep the balm on my feet. The next morning I definitely noticed a difference in the texture of my skin and also of my nails. I can see why it would also be great on your elbows, hands and knees or even as a cooling muscle rub. My feet felt invigorated. 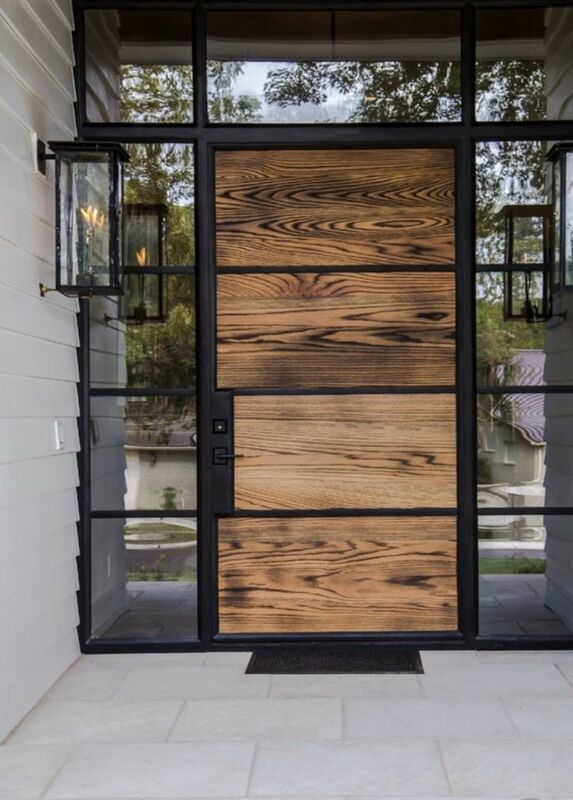 It does not take long to understand why this brand has won the accolade of awards that it has. The final samples I tried from the Wholefoods beauty department were for John Masters Organics (www.johnmasters.co.uk). I had heard great things about this brand from the awards they have won to the celebrities who sing their praises. Jessica Alba, Rosie Huntington- Whiteley, Jake Gyllenhall and Thandie Newton are some of their fans. 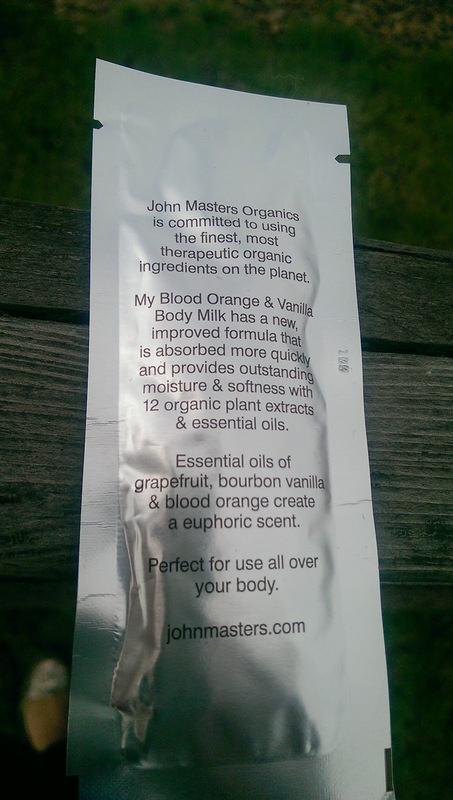 This chemical and synthetic free range uses organic and wild crafted ingredients and for over 20 years John Masters Organics have been making a luxury beauty range that is not only respectful to the planet we live on, but also to us the consumer. I was lucky to be given samples of two of their top sellers. 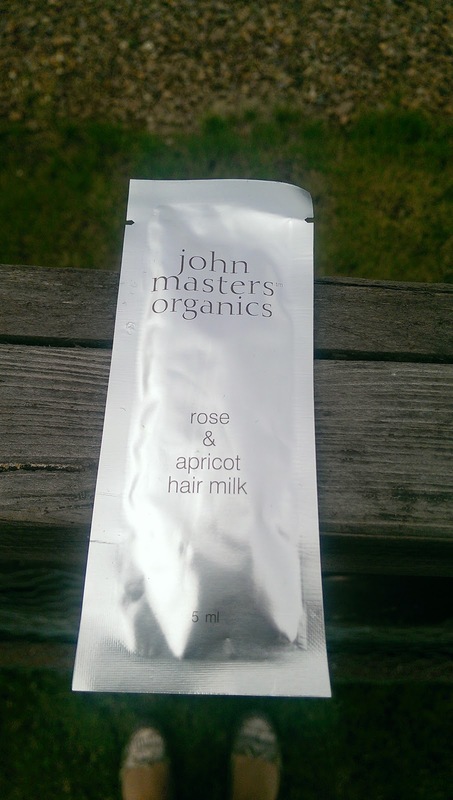 First up was the Rose & Apricot Hair Milk which incorporates 9 certified organic oils and extracts. I liked how I could use this product as a conditioner and also as a styling product. It was intensely moisturising but also managed to tame some flyaway hairs after drying. I also used it one day as a texturiser when my hair was a bit more wavy. Lovely product. Does a good job and would be worth buying alone for how it made my hair smell!! It’s creamy texture gets soaked in by the hair really easily and my advice would be to use a little to start with as you don’t need a ton of this to see results. My hair definitely had a bit more bounce in it than normal and it seemed to be protected more whilst I straightened it. All round multi-tasker for wavy, straight, bouncy or dry hair. 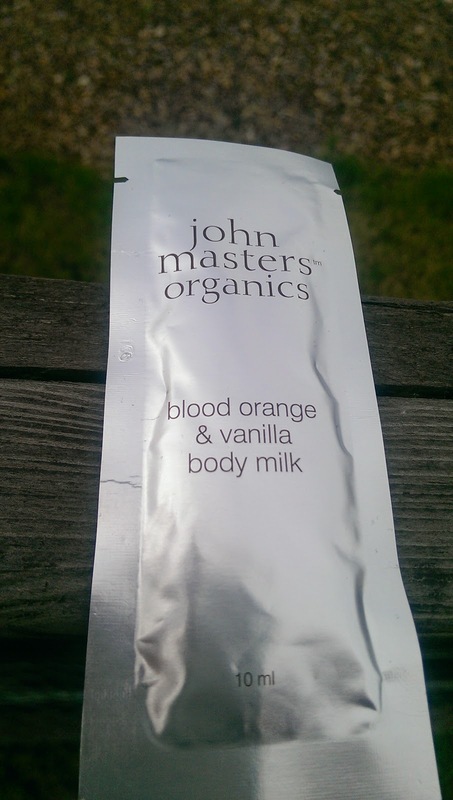 If you are to read the John Masters Organics UK website it describes the Blood Orange & Vanilla Body Milk as being a cleanser. It is not….think there was a wee typo there on the day I read it. The www.johnmasters.com has it as a Body Milk. It is a wondrous body milk made out of 12 organic plant extracts and essential oils that include blood orange (no shock), grapefruit and bourbon vanilla. They describe it as being a “euphoric scent”. I am struggling to find a better way to describe it. As a product it is lightweight when you apply but it was very nourishing and my skin did not seem to require a top up at all for the rest of the day. 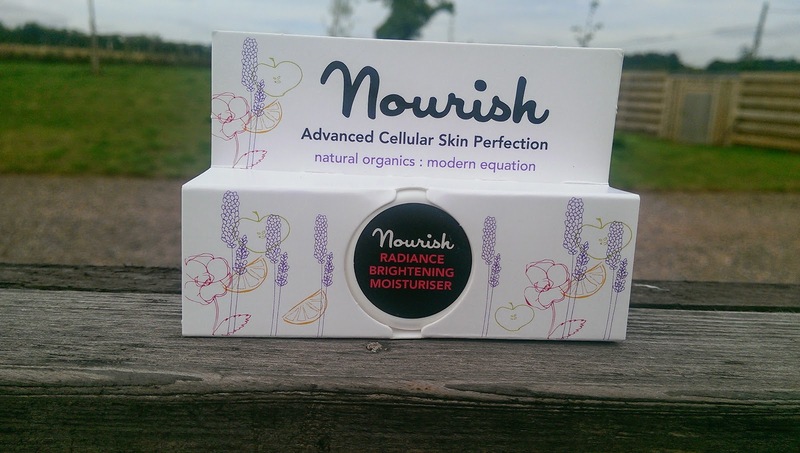 Other ingredients include safflower oil, sea algae and aloe vera…..very happy skin. I appreciate that each time I have been into Wholefoods in Giffnock and either sampled or been recommended a new product, I have never been disappointed. These three brands have been a hit with me and I would recommend you try at least one of them. I have a few more samples which I will cover off in Part 2. These include Pukka Tea and Pawsitively Natural. Previous Post Moments with Rose……….